It will be another busy year for the JDF members as they get ready to for a full slate at the Bowls Club in Victoria, BC. Always an active Club when it comes to hosting tournaments, they always have their hand up for competitions like the North American Challenge (Canada vs USA), National and Provincial Championships, along with working closely with Bowls BC regarding Coaching Clinics along with Umpire Seminars. 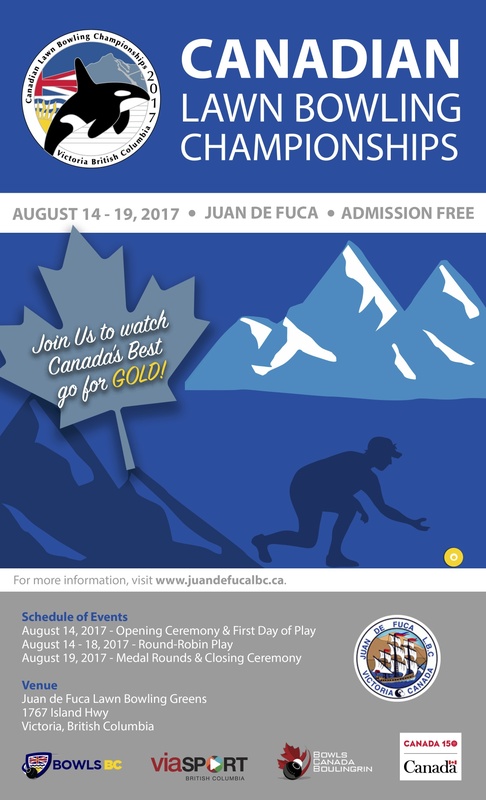 This year will be another special year as Juan De Fuca LBC members will be hosting the Canadian Majors from August 13-19, 2017. No strangers to hosting the Championships, David Mathie and his HOC always know how to put on a great show for the competitors that will be traveling to British Columbia from around the Country.